Sadio Mane revealed he is set to take a step forward in his rehabilitation from injury next week as he outlined his pride at scooping a double at the 2017 LFC Players' Awards on Tuesday night. The forward’s season was ended by the knee problem sustained against Everton on April 1, which subsequently required surgery. However, Mane revealed he is in line to begin running again at Melwood next week as he continues his recovery programme. He told Liverpoolfc.com: “I am getting better and I want to thank all of the physios for doing a great job – not just with me, they’re always doing a great job. 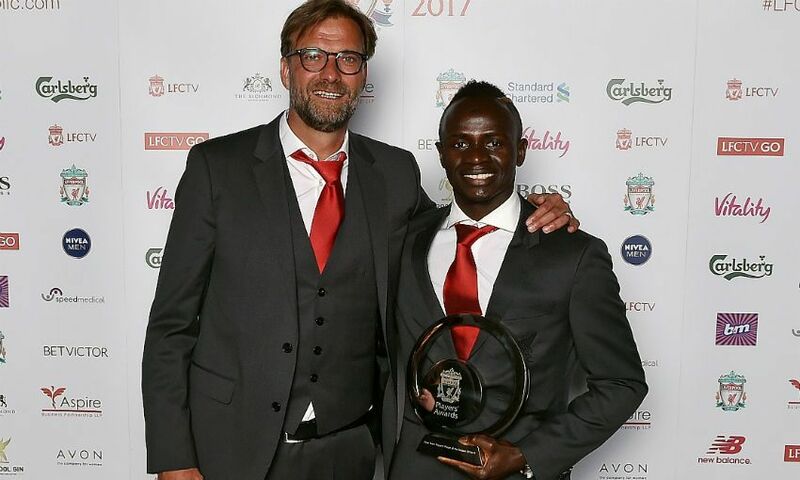 Mane was speaking after he was crowned Liverpool’s Player of the Season and Players’ Player of the Season at the annual ceremony at Anfield. The Senegal international fired 13 goals in 29 appearances in a sensational debut campaign for the Reds following last summer’s switch from Southampton. “It is a big honour for me to win these trophies, especially with all of the great players in the dressing room,” said Mane. “I want to thank everybody, all the fans who have voted for me, and I’m very happy. Mane will be watching on as his teammates attempt to secure a top-four finish in their final two fixtures of the season with West Ham United and Middlesbrough. And the 25-year-old is confident Liverpool will be playing Champions League football next season. “This league is a very hard league, but we have a great team and great players,” he said. “We are capable of beating every team in the league.